This post may contain affiliate links! 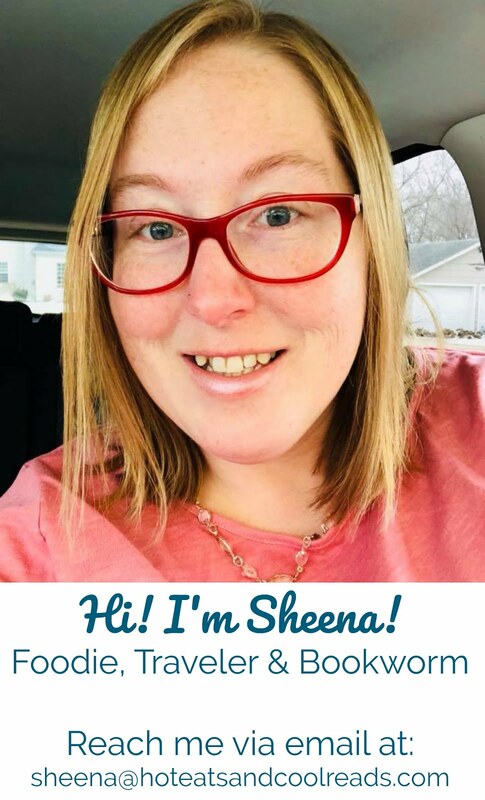 Thanks for your support in keeping recipes free! A delicious side that goes with almost any meal! Ready in 20 minutes and delicious! These last few days it's been feeling a little like spring around here! Rain, temps in the 40's and sun! I'll take it, even though I love winter and snow! Lemon everything always reminds me of spring and summer! It's bright, fresh and you can make it sweet or even savory! Today's post is a savory lemon recipe, but I'm joining up with some blogger friends of mine to bring you a collection of a whole bunch of lemon recipes! 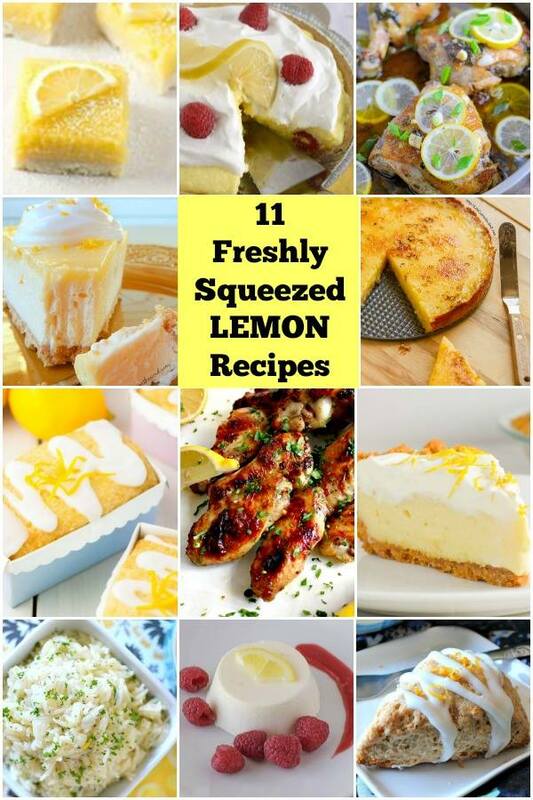 If you scroll down past my recipe, you'll find links to 10 other amazing lemon recipes! Along with a few savory recipes, you'll also find some sweet ones! Something for everyone! Make sure you check them out and click over to view each recipe! Not only does my rice have a burst of lemon, but it's buttery and full of garlic as well! It's definitely not the most healthiest of recipes, but great for a once in a while side dish along with some baked chicken or fish! It's simple and you know that's what you'll mostly find in my recipe box around here! Combine all ingredients in a medium saucepan, except fresh parsley. Bring to a boil over medium high heat, then reduce heat to low and cover. Simmer for 15 minutes or until water is absorbed and rice is tender, stirring occasionally. Add fresh parsley, additional black pepper if needed and fluff with a fork to combine. When I make rice, it's usually basmati because I just prefer the flavor. Now you've given me a new way to prepare it. Delicious! This side dish would go perfectly with so many entrees for spring and beyond! Mmmm.. Such great flavors in your rice! It looks like the perfect side! Oh boy, I'm pairing this yummy rice with some pork chops...THIS WEEK! Looks wonderful! This looks like a great side dish that would go with almost everything under the sun! Perfect! Fantastico! I want to eat this with a nice lamb curry! 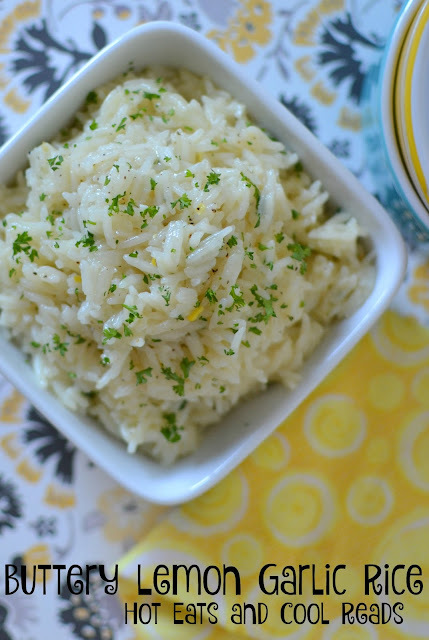 This looks like a delicious side dish to any dish and it definitely will brighten a plate with the lemon! 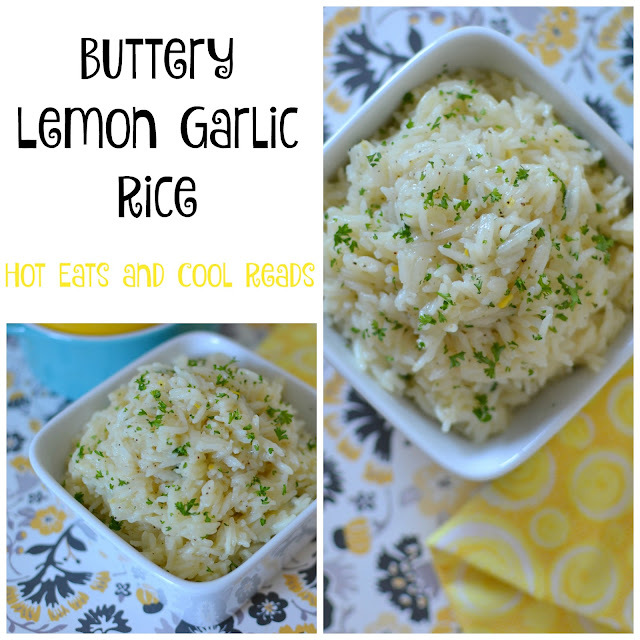 I adore anything with lemon and this side dish is right up my alley! What a creative idea for rice! This sounds really delicious! 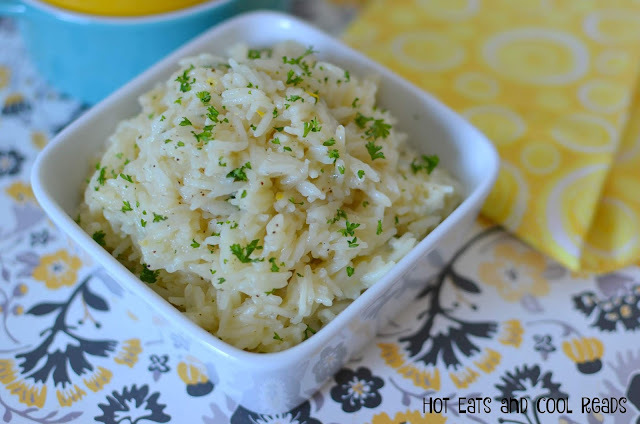 This looks like the perfect side dish for just about anything! Throw some shredded chicken in for a whole meal! In Manila I ate rice 3 times a day so you can be sure, I will totally love this perfect side dish! I love everything lemon! This looks tasty. Can I substitute the chicken broth for vegetable broth? Do you use same directions if using a rice cooker? I put all the ingredients in my rice cooker and just let it cook on "white rice." It came out so good! Made this last night to go with grilled teriyaki pork loin and it was a huge hit! Will definitely make it again! I just made this. Very nice flavor! I didn't have basmati rice and intended to make it with long grain rice. But somehow I made a mistake and used short grain rice. When it finished cooking, I thought it was too soupy but after it set for a while, it turned into a nice creamy side dish. I'm looking forward to making this again and trying it with the long grain and basmati rice to see how using a different rice will effect the finished recipe. this rice is DELISH! i made it to go with a green curry chicken recipe, and it was PERFECT! My sister fell off her keto diet to eat some and now she says I'm under arrest :) Thank you! Apparently, based on the comment above, I've made this before but I don't remember. I think I was a little harsh with my comment and apologize. I made this again today and it is delicious! I still didn't have the basmati rice and it needed to sit for a few minutes to absorb some of the liquid. I added the zest from the half lemon (which gave me 2 Tablespoons of juice). Nice balance of lemon and garlic. And the BUTTER?! Soooo good! I think I'm going to peek around your site for other recipes. Thank you for posting this recipe. It's going into my keepers file! You're so welcome! Thanks for letting me know how it turned out!